With many decades of experience in the powersports industry, it’s hard to find a better brand than Kawasaki. As far as side by sides go, Kawasaki has been perfect their offerings at every turn. 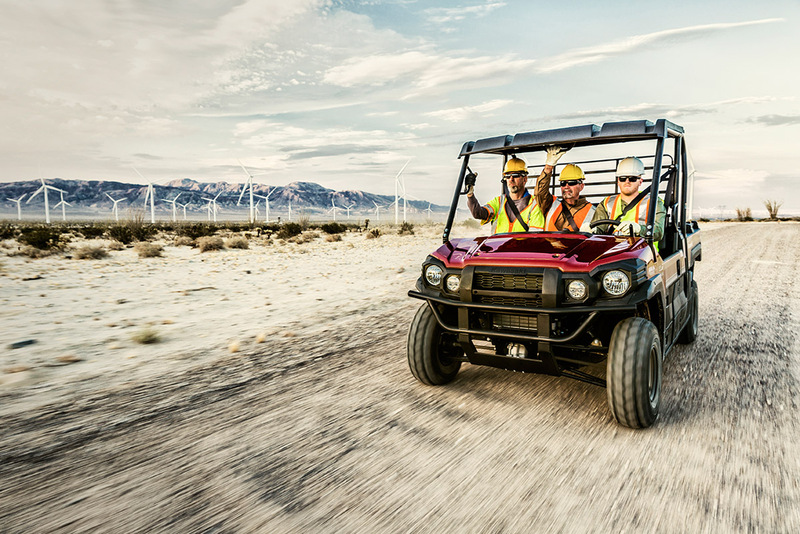 No matter what model you go with, you’re promised high-quality construction, exceptional reliability, and awesome performance with each and every ride. Whether your intent in purchasing a Kawasaki side by side is professional or recreational, there’s a model with your name on it. You’ll find that these vehicles are highly efficient because they offer more space for passengers and cargo, plus an impressive 1000 lbs of hauling capacity in some models. You’ll find options that are specifically streamlined for use in off-roading and trail riding so the high traction and optimized shock settings will always leave you with a smooth and enjoyable ride. Visit us at Mad City Powersports today to check out our amazing selection of Kawasaki side by sides. We’re conveniently located near Madison, and Portage WI, in Deforest. Our staff is ready and willing to assist you in finding the Kawasaki UTV of your dreams.